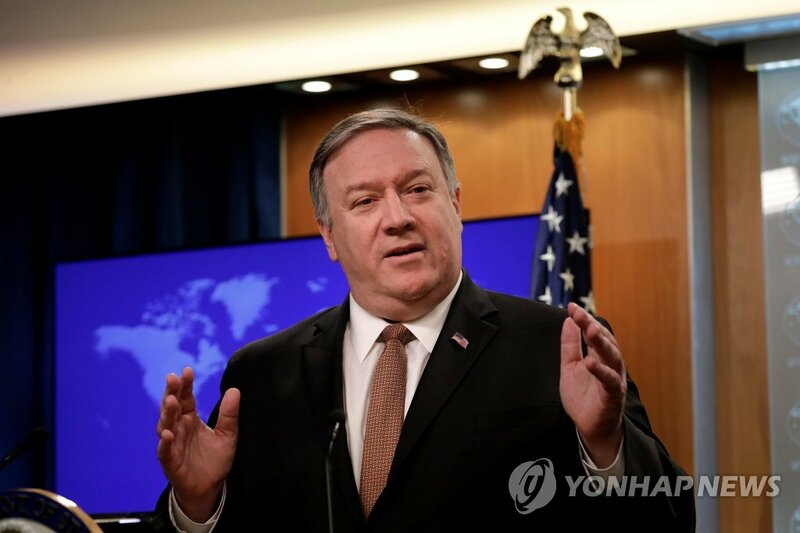 WASHINGTON, March 18 (Yonhap) -- Secretary of State Mike Pompeo said Monday that the United States and North Korea are trying to get the "sequencing" right in talks to end the regime's nuclear weapons program and open a brighter future for the country. "But it must follow -- it has to follow the verified denuclearization of North Korea," he said. "And getting that sequencing right and getting it laid out in a way that each of the parties can agree to and take down the tension level along the North and South Korean border, it matters to the people of Japan and South Korea, our important partners, and it matters to the whole world." "We believe we're still moving forward. It's certainly difficult -- we knew it would be," Pompeo said in an interview with Kansas radio station B98 FM. "The conversations certainly continue. I hope we can achieve that," he added, noting that was Kim's "promise" to the world at his summit with Trump in Singapore.